It's no secret I'm a bit of a mush monger when it comes to love and all thing loves related and if there is an opportunity to embarrass the kids show the kids a little extra loving then I'm allllll aboard the love train. The teenager totally expects this sort of thing from me and so he is mighty relieved that Valentine's Day this year falls on a Saturday and that there will be no unexpected surprises in his lunch box to mortify him in front of his mates. Of course I am one step ahead of him. Friday his school bag will be stuffed full of love notes, heart shaped sandwiches and treats and this mighty cute but totally embarrassing pencil will be in his lunch box. I can just picture the endearing shade of beetroot red now. The ten year old is borderline too embarrassed for this kind of stuff. He says he hates it, but he is all talk.... or that's what I choose to believe anyway. The youngest still gets a big kick out of lunchbox surprises and I am going to milk that for as long as possible. 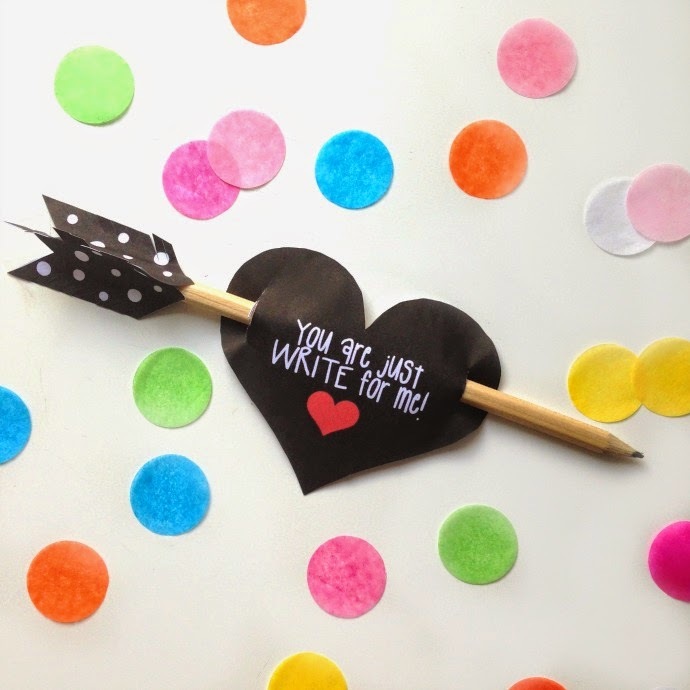 If you have a little one who still appreciates little surprises, then you might want to think about making one of these 'Just Write' Valentine's gifts for them too. There is a million of these sort of things floating around Pinterest and this is my take on it. 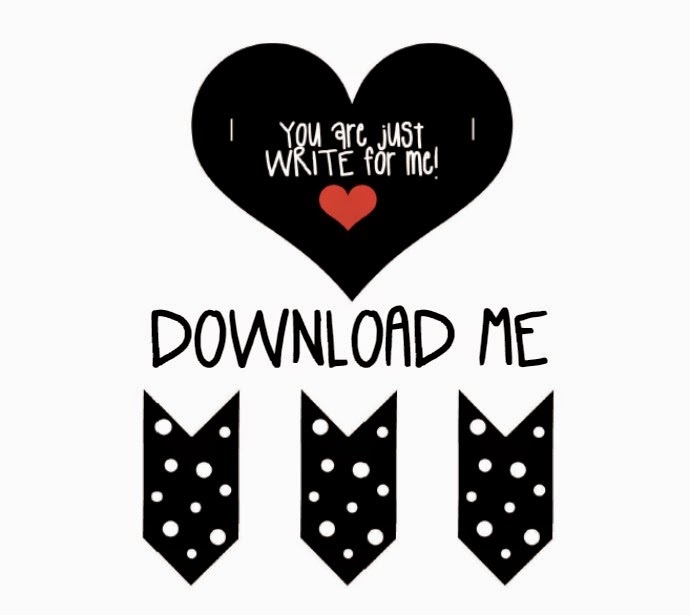 Simply print off the template below, cut a few slits in the arrow to make it look kinda sorta feathery and then glue the arrow pieces together onto the end of the pencil. 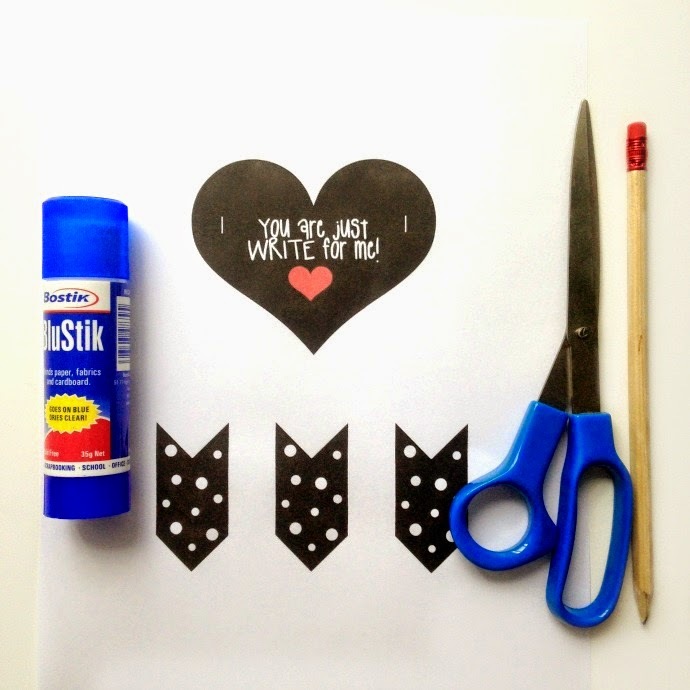 Add a little extra glue to the pencil to make sure it all binds together. 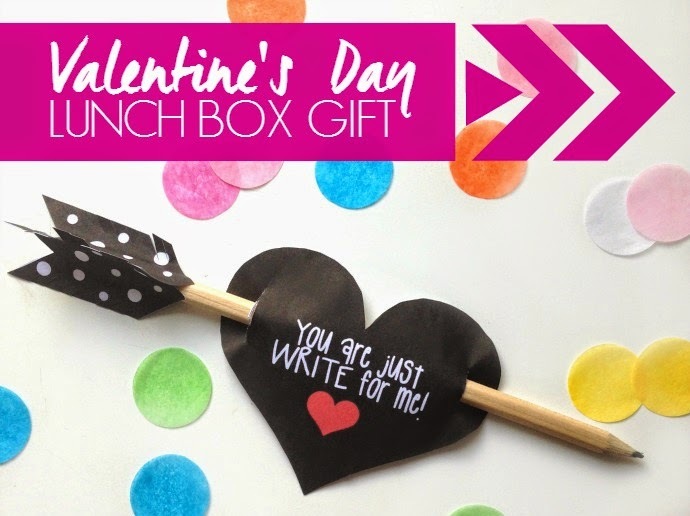 Cut out the heart and thread your pencil through it, then stash it in the lunchbox like a good little cupid. If you don't have kids - stash one of these in your partner's briefcase and remove all other pens and writing instruments. You get bonus points if he / she has an important meeting that day. Designed to achieve maximum mortification? Do you participate in Valentine's day / Embarrass the kids day? What's the most 'embarrassing' gift you have ever received or given on Valentine's Day?